What Makes the Guitar Such a Great Instrument? One of the great things about the guitar is that it’s so popular – this means that the instrument is made in many places around the world, and the quality as a whole tends to be on the rise, while prices are going down all the time. This means that, unlike many other instruments where you have to drop a lot of money for just an entry level model, you can usually buy a decent guitar relatively cheaply – especially if you go with a used one.Guitars are designed to be very accessible and easy to play for most people, and they can also be very comfortable to play sitting down or standing up depending on your preferences and body build. If you choose the right guitar for yourself, even playing for extended periods of time should be no problem.There are just a few limits on where you can play the guitar – especially considering how easy they are to transport due to their overall small size and light weight, which makes them very portable. The guitar is great for all kinds of settings – you can play it on your own, or with a band, and you can do it while singing or backing up someone who provides the vocals. There’s really no need for another instrument either, as you can get great music from just the guitar itself. 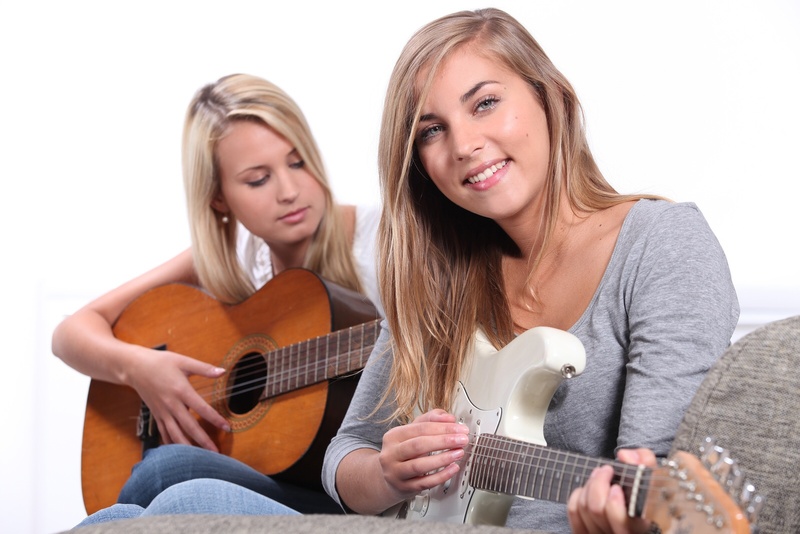 It’s not so difficult to learn the guitar either, unlike many other instruments – this means that you can learn to play it relatively quickly, especially compared to most other instruments that people enjoy nowadays. Last but not least, the guitar is extremely versatile – it can fit a variety of occasions and musical styles, and it doesn’t matter if you’re just playing around a campfire or in a more formal setting, you can always chip in and make others enjoy your music. You can even play in a big hall with a band, playing on an expensive guitar with a high-end amplifier, and then you can go deeper and look at the various subcategories of the instrument which are adapted for the playing styles of different people out there. Even if you have an issue with the volume, you can always do something to boost the output of the guitar, while on the other hand you can also tone it down so you can play it without disturbing people around you – there’s quite the range to use when it comes to volume.